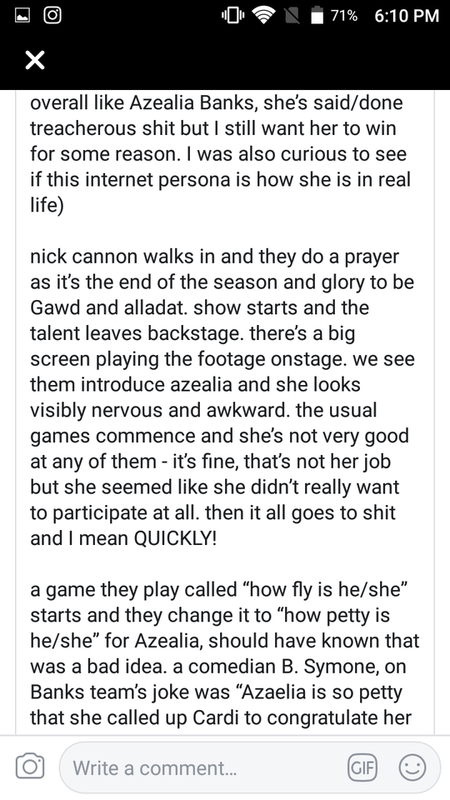 Azealia went at Nick Cannon but it seems like there are holes in her story that she got ambushed on TV. 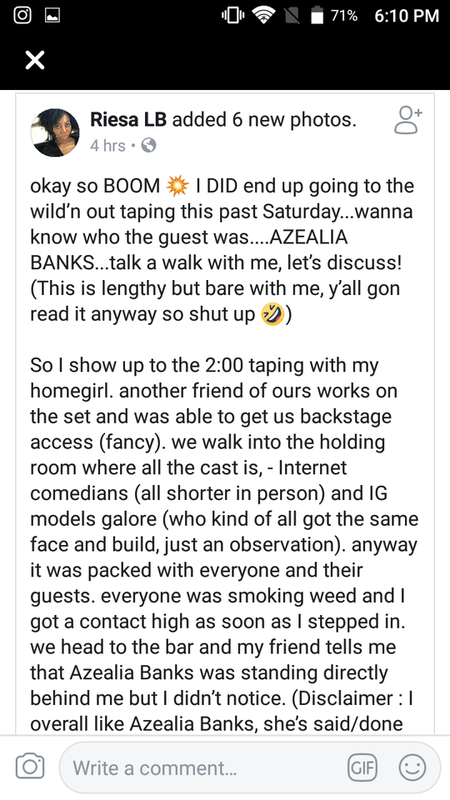 (AllHipHop Rumors) Azealia Amanda Banks is a big ol' liar. 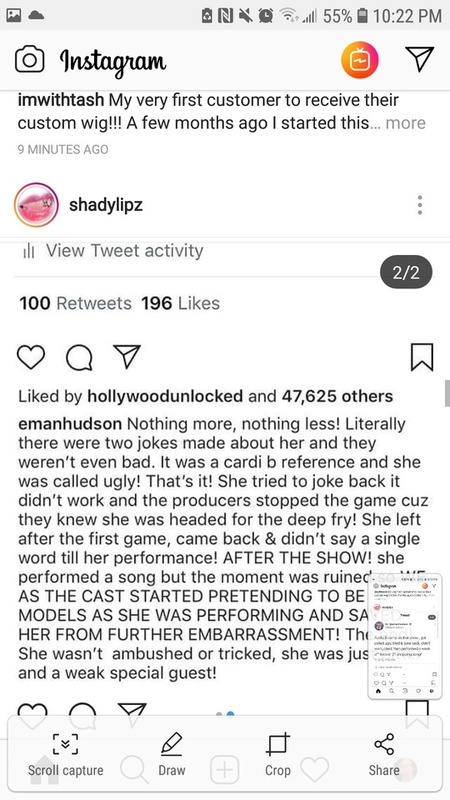 She went at Nick Cannon for providing a platform for "Wild N Out" rappers to making "colorist" jokes about her. But those that were there are saying she is a damn liar! She cried after somebody called her ugly. 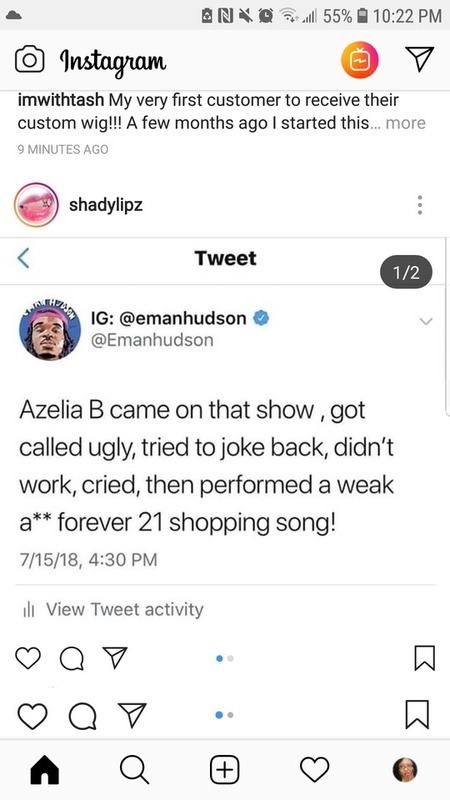 That could have hurt her feelings, but that's what they do on Nick's show. 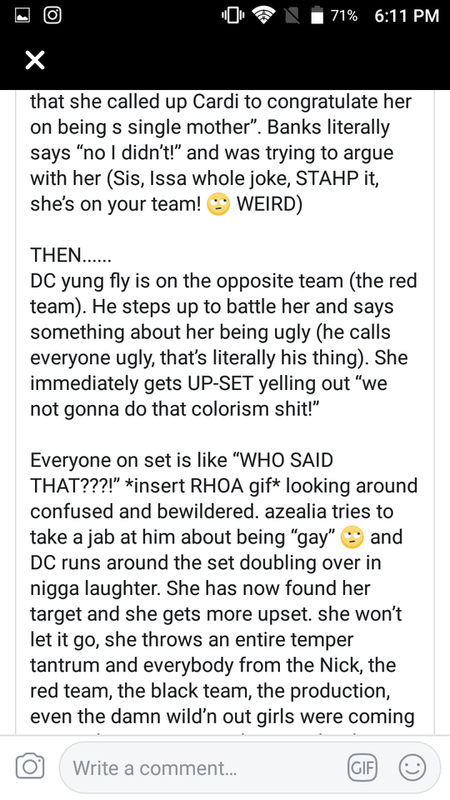 Nobody that was there says there were jokes around her color made in the raps. She simply could not handle the jokes. I don't know why this girl keeps getting press and getting opportunity to squander opportunity! Time and time again. It just goes to show you that people are almost always willing to watch a train wreck, even one that crashes over and over and over. There are many other reports of her lying too. You know, it is sad. 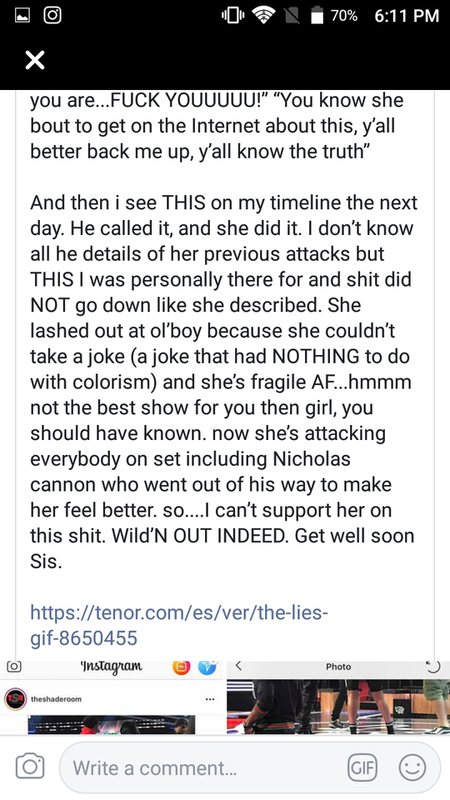 She pulled the "colorism" card, because that is a buzz word and hot button. 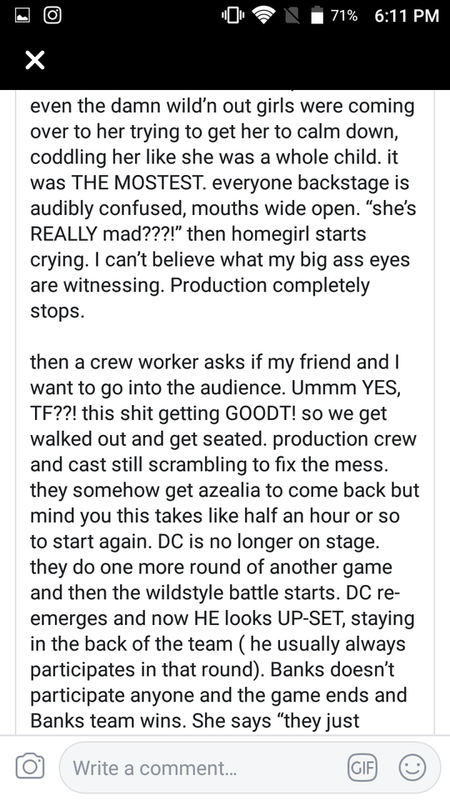 Folks automatically believe that, but there are way too many people in the audience and whatnot for this to fly. 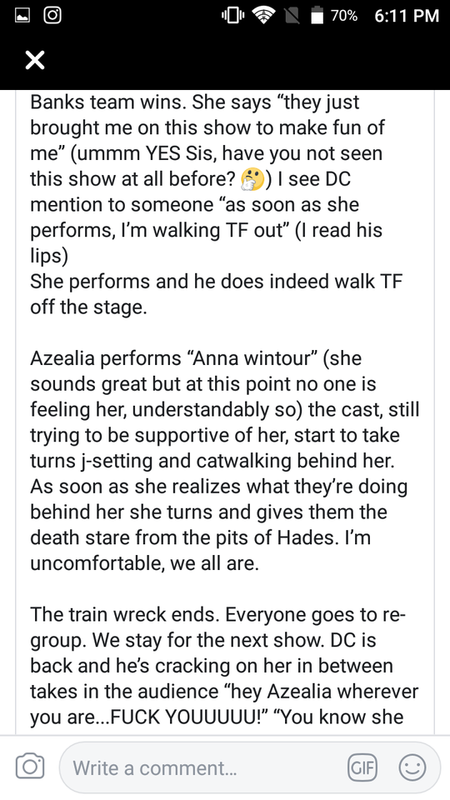 Anyway, she got mad at Wendy Williams today and said WW should "drop dead" live on TV. What a classy person.